When people come to me for advice on buying a computer that comes with a Linux-based operating system pre-installed, my first suggestion is always System76. While other companies, such as Dell, also make great laptops running Ubuntu, for instance, System76 stands above the rest by also offering its own operating system -- Pop!_OS (which is based on Ubuntu). In other words, System76 has better control over the overall customer experience. Not to mention, its contributions to both the Linux and open source communities are invaluable. Today, the company unveils its latest laptop, and it looks like a winner. The 15.6-inch "Darter Pro," as it is called, is thin, but not overly so -- it still has USB-A ports (thankfully). The computer is quite modern, however, as it also has a USB-C/Thunderbolt 3 port. "Outfitted with a large battery inside its thin 18mm chassis, the Darter Pro is expected to last a full work day without needing a charger. The Darter Pro was tested under a variety of conditions, including video, music, email, writing via the cloud, and online messaging programs. On average, the battery lasted about 7 hours. Customers have been requesting improved battery life for quite some time, so the company is confident that the Darter Pro will be a coveted option among those who prefer to work unplugged," says System76. The famed Linux-based computer-seller further says, "A thin bezel brings the user closer to the action on its 15” screen. Tactile feedback from the multi-color backlit keyboard provides the feel of mechanical keys within its chiclet design. Travelers and remote workers can also take advantage of the Darter Pro’s lightweight chassis; as System76’s most portable machine, Darter Pro won’t hamper a day on foot." Alex Gerber, Copywriter for System76, has gotten to use the machine early and offers the following statement about it. I'm very picky about trackpads. Normally the mouse lags behind my finger, but it was amazing to me how well this one followed my movements. The best part was getting to migrate away from my desk for a whole day to focus on my writing assignments without having to worry about my battery dying on me. 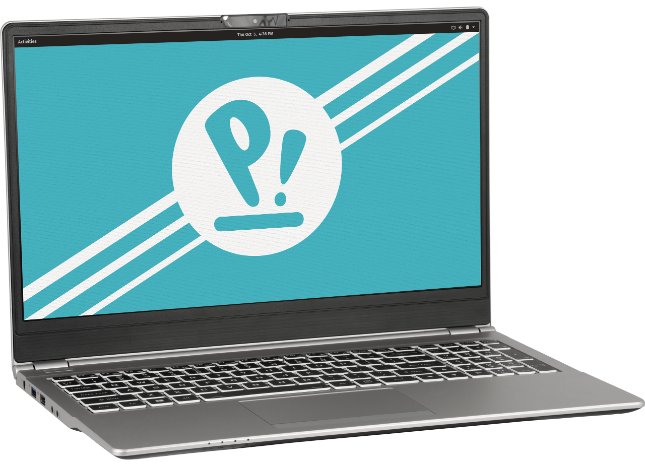 The newest version of the System76 "Darter Pro" Linux laptop will be sold by the company directly beginning February 5. If you want to be notified once it is available for purchase, you can sign up here. Pricing, which will vary based on configuration, should be revealed soon.